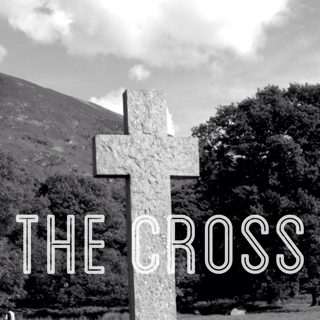 What better Wednesday Word could there be for the Wednesday of Holy Week than the Cross? (And, lest anyone be tempted to note that I’m a few days out, you can’t have a ‘Wednesday’ Word on a Friday, so this is as close as I can get!) In some ways the Cross doesn’t seem like all that good a candidate for a word to explain. We all know what a cross is: we see its shape adorning church steeples and neck-lines up and down the country. And you don’t need to have seen a gory film to know the excruciating nature of death on a cross. In fact, that’s even where the word excruciating comes from (Latin crux = cross). But the Cross is about a lot more than physical suffering. In fact, it’s quite possible to see the physical suffering and yet miss the point of the Cross. And sometimes on Good Friday there’s a temptation in that direction, to focus simply on the horrors of the physical suffering of the cross. To us those physical horrors seem strange and even unique, yet in Roman days there were thousands of crucifixions just like it. Those horrors were repeated time and time again. Even on Good Friday, two guilty men were crucified along with the Sinless One. So, the physical suffering of the cross wasn’t unique. It wasn’t exceptional. In its day, it wasn’t even remarkable. The cross isn’t all about physical suffering. So what is it about then? Well, what was unique about Christ’s death on the cross? Not the crucifixion itself, but the Person who was crucified. What made Christ’s Cross different from the crosses around Him was who was on the Cross. When we talk about the Cross, we’re not talking about crucifixion in general; we’re talking about Christ crucified. The Christian message is not ‘crucifixion’, but ‘Jesus Christ and Him crucified’ (1 Cor. 2:2). It’s not crucifixion but the Crucified who saves. So, when we talk about the Cross, it’s really a form of shorthand. We’re not talking about a piece of wood, nor are we talking about a general method of execution. No. What we’re talking about is Jesus’ death on the Cross for our sin. Whose death? Jesus’ death. Jesus the Sinless One. He was innocent and yet put to death as a criminal. Jesus the Blessed One and in whom all blessing is found (Eph. 1:3) and yet He became a curse for us as His body was hung on a tree (Gal. 3:13). Jesus the eternal Son of God. What’s eternal has no beginning or end, and yet the eternal One died. This is the paradox of the Cross. Jesus had no place there. He is the opposite of all that belongs on a cross. And yet He willingly went to the Cross in our place. He’s the sinless One. So the sin that took Him to the Cross wasn’t His. As the songwriter put it, ‘It was my sin that held Him there.’ Or, in the words of Scripture, ‘He made Him who knew no sin to be sin for us’ (2 Cor. 5:21). And so on the Cross Jesus dealt with my sin. On the Cross Jesus bore the punishment for my sin. Through the Cross Jesus frees me from my sin. Not by a special piece of wood, but by His atoning death there. He’s the eternal One. So He need never have died. His life couldn’t be taken from Him, but yet He laid it down willingly for us (John 10:15-18; 15:13). He willingly died for us. He voluntarily died for us. And yet, through His death we have life. Through the death of the eternal One we have eternal life. This is the wonder of the death of the Cross, that Jesus Christ has taken our death and so we share in His life. Last week, writing in The Guardian, Giles Fraser criticised evangelicals for celebrating ‘the cross of Good Friday … as a moment of triumph.’ According to Fraser, ‘this is theologically illiterate.’ But, the thing is, it’s not. 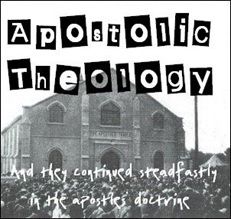 That’s the theology of the Bible and that’s the theology of the Christian church throughout the ages. The Cross of suffering is the Cross of victory. The Cross of shame is the Cross of glory. At the Cross Jesus made an end to our sin – that is victory. At the Cross Jesus took our death and gave us life – that is victory. At the Cross Jesus became a curse so that we might be blessed with all spiritual blessings in Him – that is victory. And this isn’t just some reflection back after the event looking for some good. No. Jesus Himself taught His disciples of the glory of the Cross. 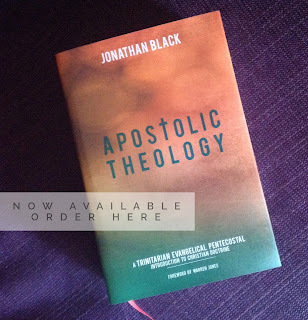 In John’s gospel we read of how Jesus spoke of the Cross as His glorification (see e.g. John 12:23-24; 27-33; 13:31-33). Even Jesus words from the Cross declare His victory – ‘It is finished!’ (John 19:30). And Colossians tells us emphatically that ‘having disarmed principalities and powers, He made a public spectacle of them, triumphing over them in [His Cross]’ (Col. 2:15). The Cross is a moment of triumph. The Cross is the victory of our God.